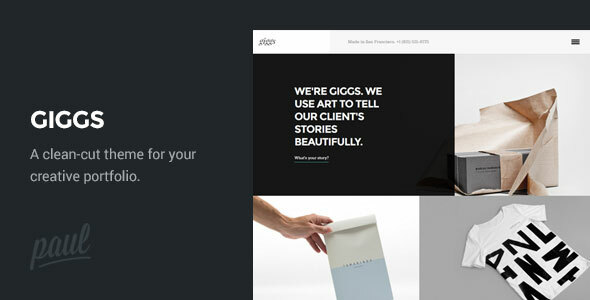 WordPress 4.0 Ready Bold & Simple Design Clean & Lightweight Code Smooth Responsive Design Off-Canvas Mobile Navigation Advanced Custom Fields – adding your content to Giggs’ page templates is as simple as it could possibly be! 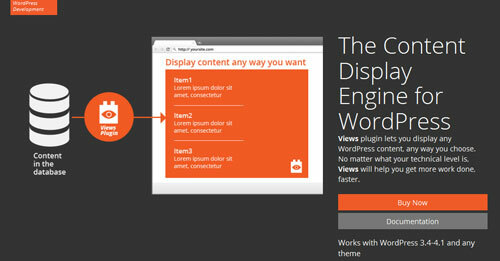 Views plugin lets you display any WordPress content, any way you choose. No matter what your technical level is, Views will help you get more work done, faster. 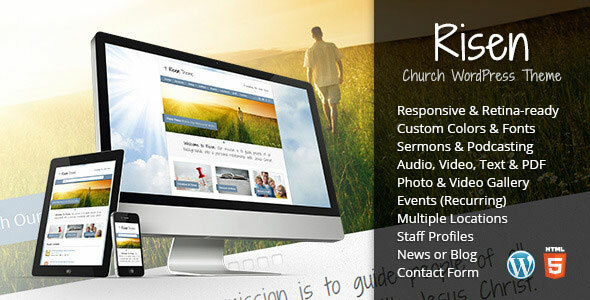 This church theme for WordPress has the features a church website needs — a mobile-friendly responsive design, sermon archive, photo and video gallery, church events (recurring), support for multiple locations, staff profiles and church news. The sermon archive is complete with the ability for visitors to search for audio, video and text sermons by category, tag, date and speaker. 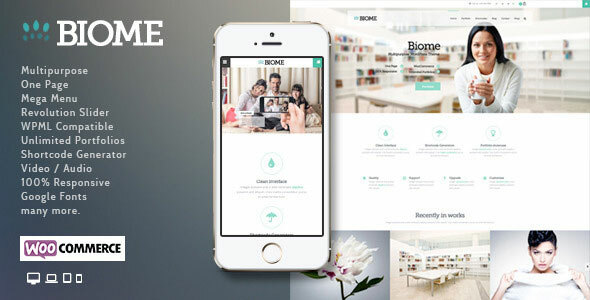 Biome is a theme for WordPress with WooCommerce Shop. 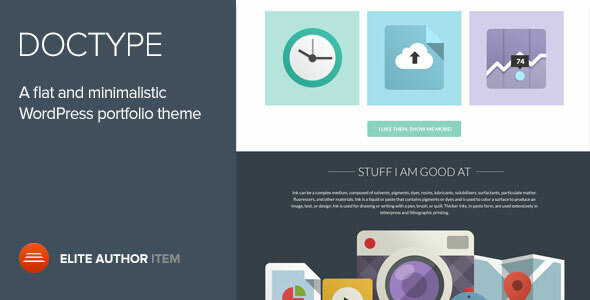 Theme supports both One page and Multipage. 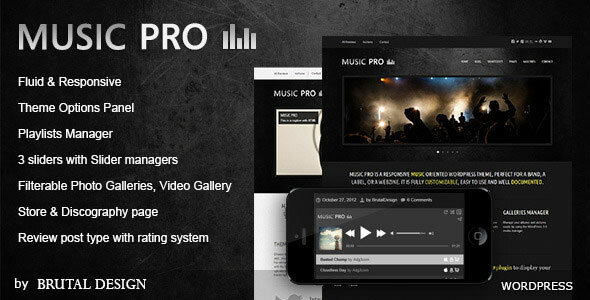 It is WPML ready and includes .po .mo language files. 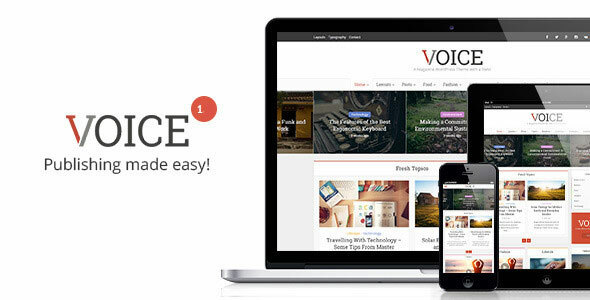 Some highlights include edge to edge display of portfolio and blog post images and videos. Smooth non-intrusive flip menu on view ( when scrolled out of view and once visible ). 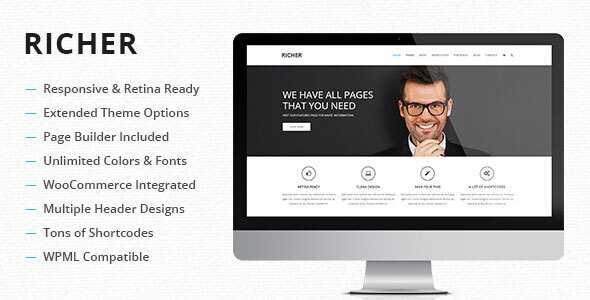 Richer is clean, fully responsive, mega flexible WordPress Theme. An awesome mix of functionality and ease of use, very comfortable to manage/administer. 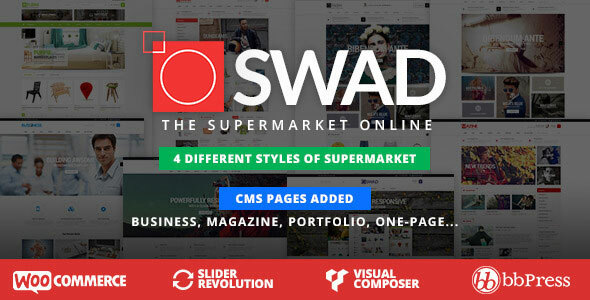 It impresses with the wide range of application: business websites, shop websites, portfolio sites… Advanced theme admin panel, drag-and-drop page builder, lots of options and configurations will help you to customize almost any part of your website as easy and comfortably as you could ever imagine. 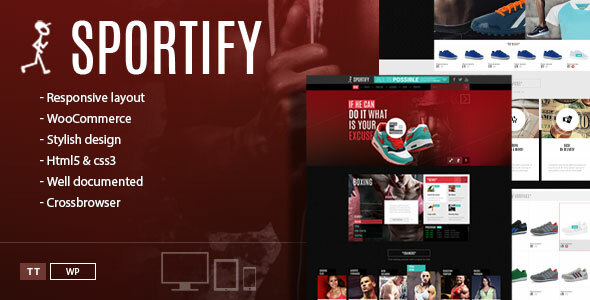 Best for Gym, fitness, training center Additional pages can be easily created with the existing elements, there are predefined template pages already created.